Bargain Shopping Paradise: Look what came in the mail today . . . Remember that EcoTools promotion I talked about a few weeks ago? Well, I sent in an old (and I mean OLD) bottle of lotion from the Body Shop that I just never used, and a set of eye shadow brushes that I've had for a bit too long. My coupons came in the mail, today! Woo-hoo! I can't wait to head over to Rite Aid and get my free stuff! As far as I know, the promotion is still going. The EcoTools Web site still has the details up and available, so I'm assuming you can still swap your used beauty supplies for these coupons for brand new EcoTools supplies. 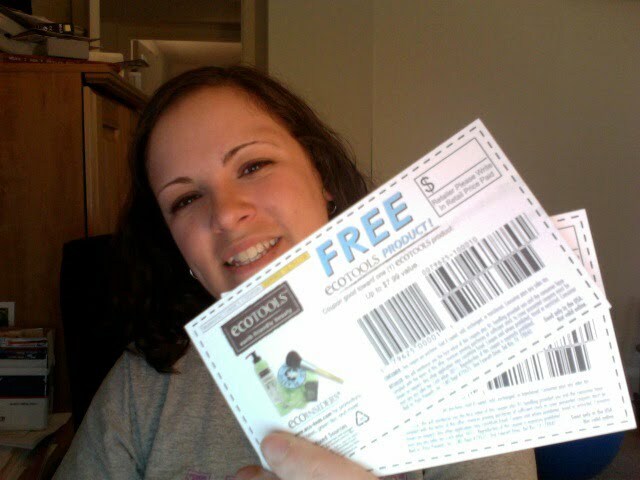 My coupons expire 12/31/10, so I have plenty of time, and they're good for up to $7.99 value. I need to check into this...I've had my brushes a little too long! !